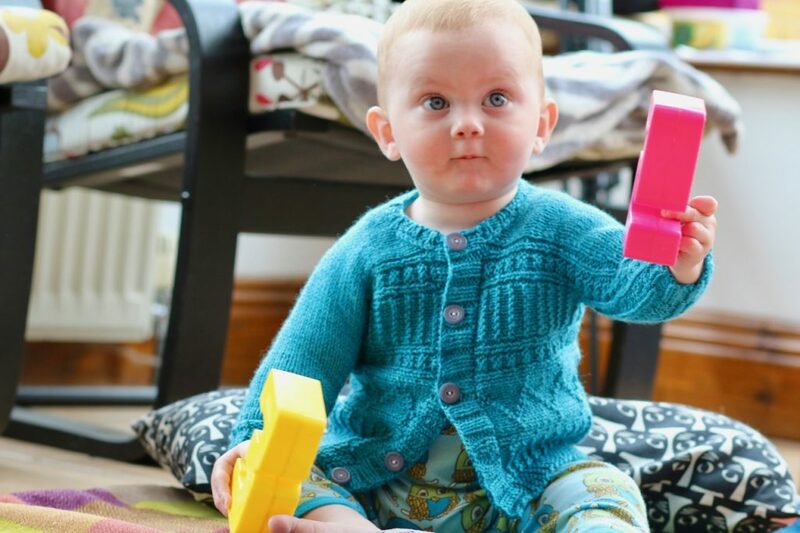 I love knitting baby garments. They are so compact and very, very cute – much like the adorable individuals that wear them! This is my brand new baby and child cardigan, Montessori. It’s sizes from six months up to eight years with finished dimensions given for all sizes. If your child is bigger or smaller than average then you should use the finished sizes rather than ages as a guide. 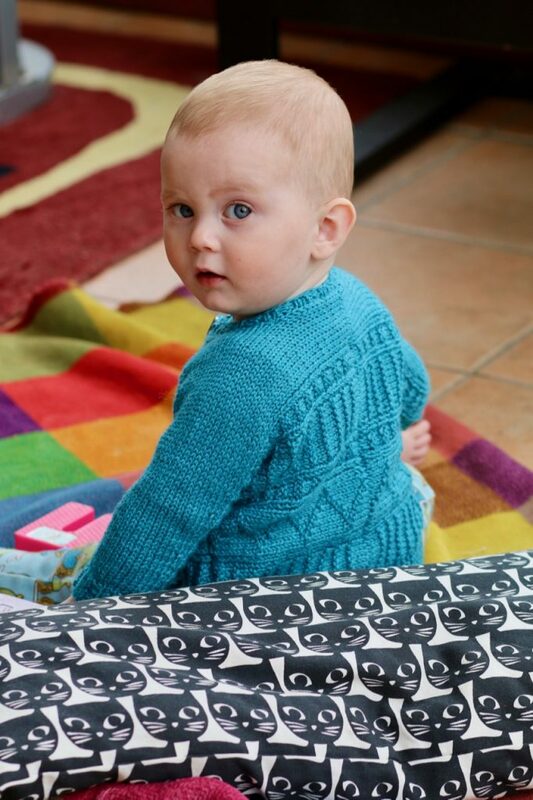 It’s modelled by Evins’s beautiful little boy and the delicious yarn came from Rachel Coopey, Socks Yeah DK. 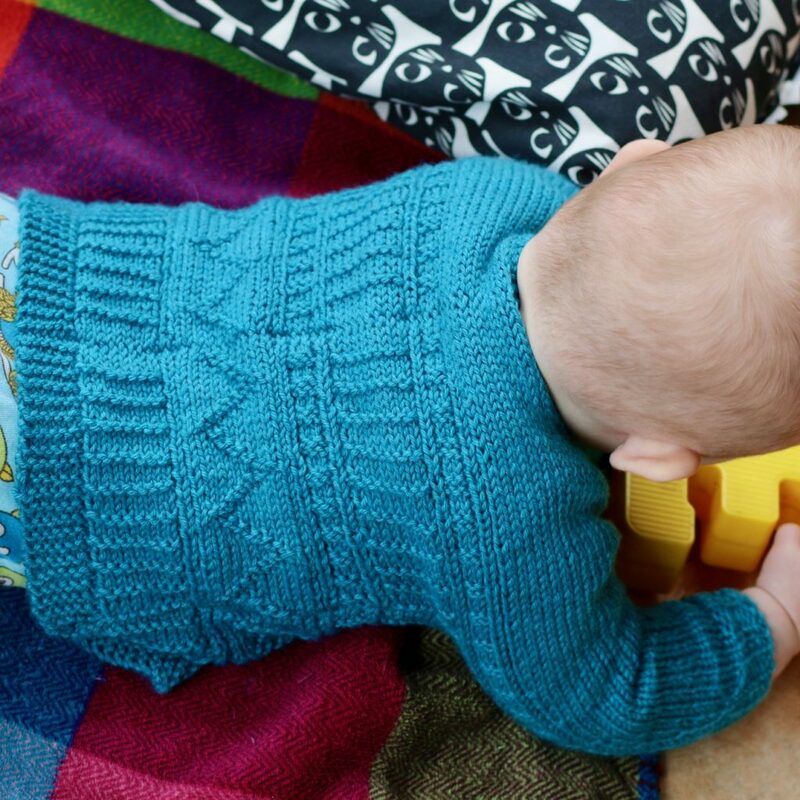 This is just the most perfect yarn for children’s knits; the range of colours is amazing, it’s a soft superwash merino for easy washing and nylon so it wears better. It’s got such nice crisp stitch definition that it was a very good match for knit/purl stitch combinations. The pattern stitches really stand out. For me another huge bonus to small knits is that you can experiment. You can easily try out new construction techniques and it’s all done on a small canvas. This sweater was knit a little differently; each side is knit from the cuff in, increasing for the sleeves, then casting on the body and then finally a 3-needle bind-off joined both sides of the back together. Once the back is joined all that’s left is the side seams and front edging. I’ve even got a new tutorial on mattress stitch to help you out here! Every size has a different combination of stitch patterns so that the full length of the body will work for every size. For the larger zig-zag pattern stitch as you are working from the outside in you’re not going to get a pattern line-up in the centre for most sizes. 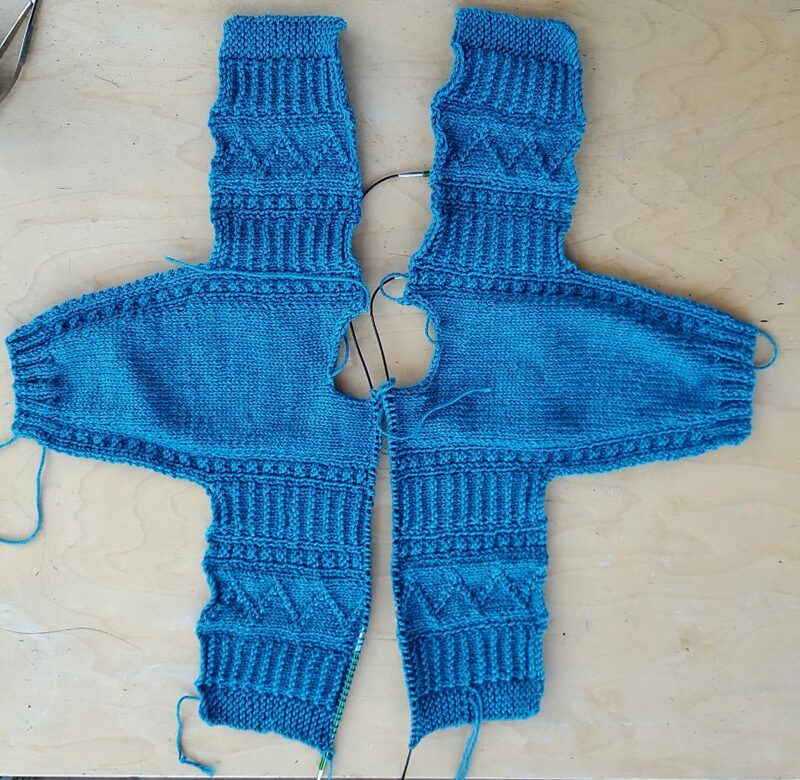 As there is a bind-off seam at the centre where there is an obvious join I think that this works just fine, if this is something you want to change you could adjust your start and/or end row in your work. Is there any little (or not so little) person in your life that Montessori will make a good gift for?